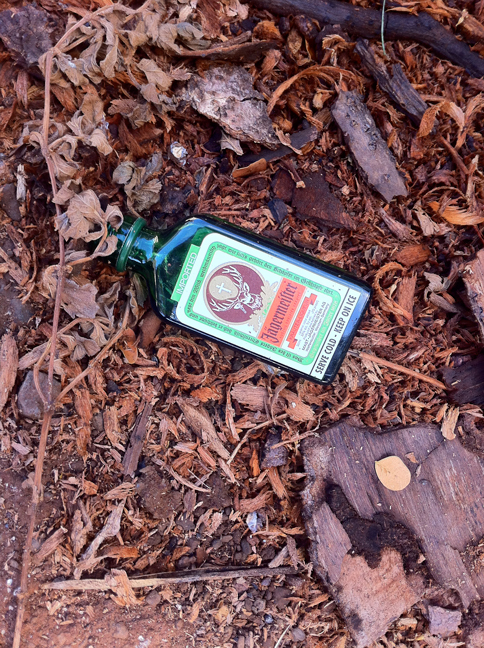 We came across this bottle in Big Bear, California on the way to do a 3rd Step. Made us grateful we hadn’t drunk it! On a visit to my daughter in Berkely, while walking across the street for breakfast I saw this. Again, gratitude that I live the life of sobriety and recovery, enjoying it with my daughter, rather than being drunk. This is a pic of me and my sponsee Chris K. at the Alano Club of Maui. 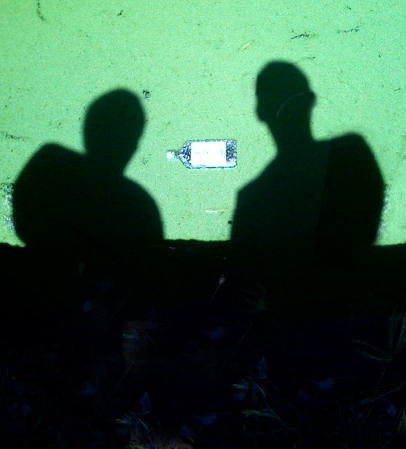 We’re standing over a small waterway covered in algae, having just coming out of a meeting. Looking down at the bottle and sharing some gratitude that drinking is not part of our life anymore. This is my sponsee Richie turning his will and life over to the care of his Higher Power. 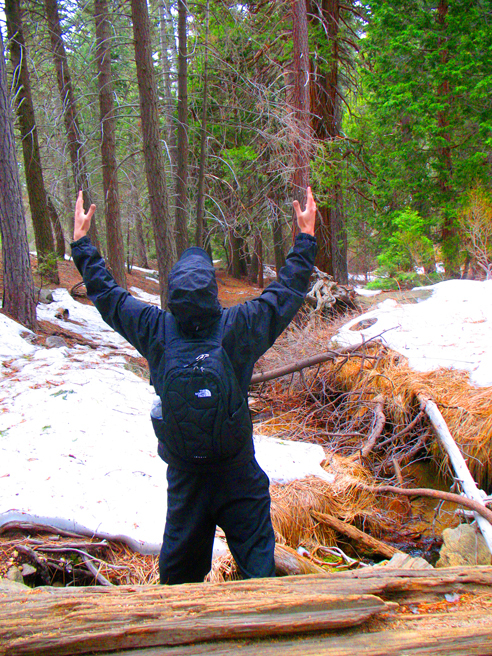 We hiked into the mountains and found this was the place that resonated for him to do his 3rd step. I love this life of recovery! 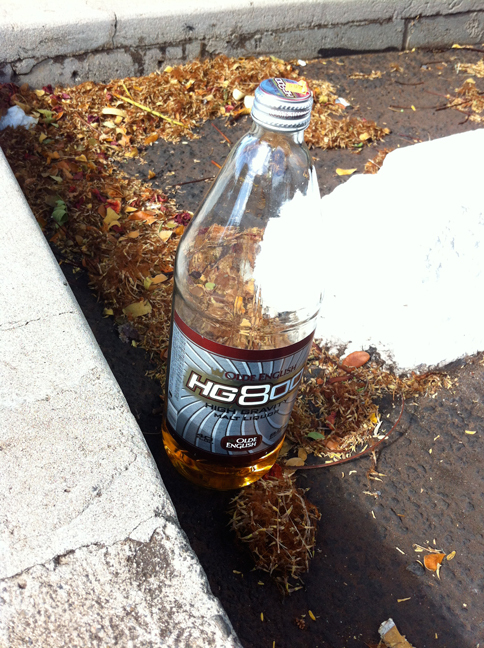 I remember drinking several of these with my friend Johnny as we headed out of Marina Del Rey on his new Hobie Cat. He was, and still is, a sailor and a normie. I, on the other hand, wasn’t either. Thus, an hour or so later, after I had drank most of the 6-pack, and while he was cooling off in the ocean, I decided to join him. He screamed “nooooooooo”. That’s when I realized the boat seemed to be moving quickly away from us. Good thing I was a very fast swimmer when I was a teenager. I just barely caught the boat and turned it before it hit the jetty. And that’s the story of James, Olde English, and the boat! (Just goes to show that a drunk sometimes can still save the day).